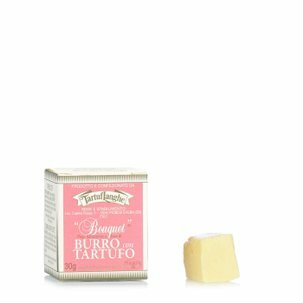 What do you get if you combine tasty Piedmontese sausage, Tropea red onion, Barolo DOCG wine, tomato and extra-virgin olive oil? 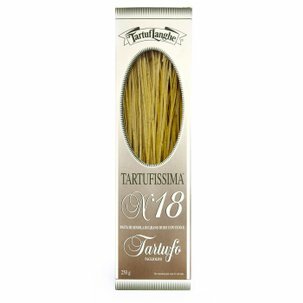 We have the answer, and it is good: Tartuflanghe Sausage and Barolo Wine Sauce, a traditional and versatile condiment. 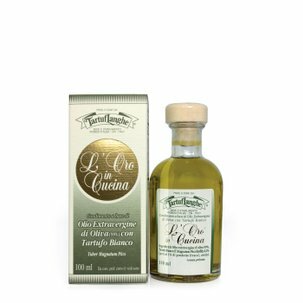 Ingredients of the highest quality guarantee excellent results, for a product that perfectly complements egg pasta and polenta, or that makes an exquisite filling for vol-au-vents. Amaze your guests or treat yourself any time you like, and take advantage of the offer Eataly has secured for you: 12 jars of ready-to-use sauce at a price that helps you save money while tasting true quality. 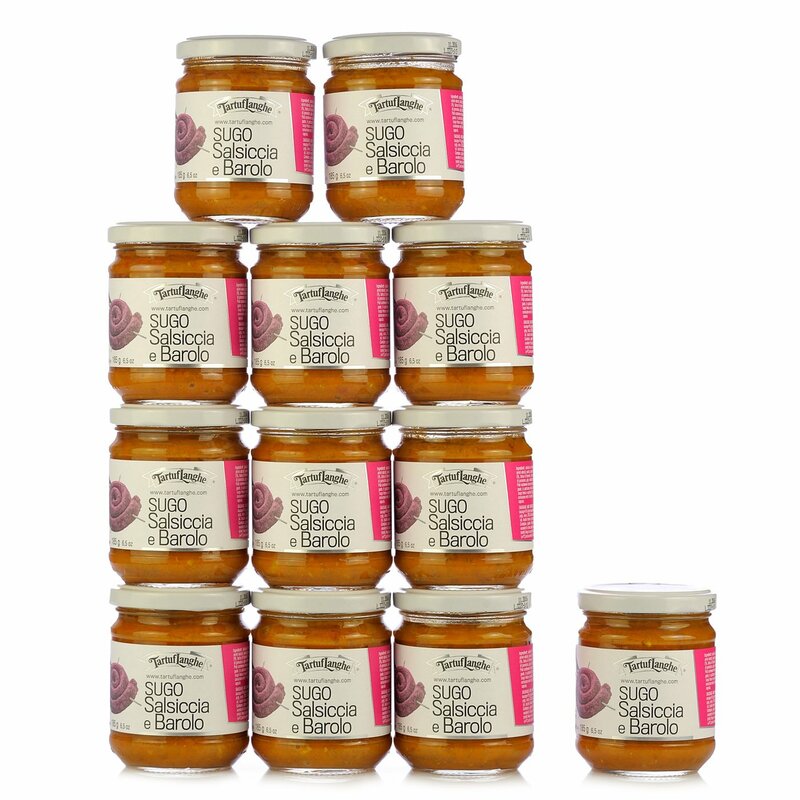 Ingredients Sausage and Barolo Wine Sauce 180g:Pork sausage 42% (fresh pork, salt, natural flavourings), tomato pulp, Barolo D.O.C.G. wine. 5%, onions, extra virgin olive oil, wheat flour, garlic, celery, pepper, salt, rosemary. Allergens: contains gluten, celery. 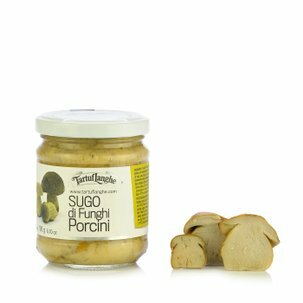 Since 1980, Tartuflanghe has been committed to offering the sophistication of the best truffle specialities in Italy and world-wide. The passion for a unique region able to provide excellent ingredients made it possible to develop a complete line of products based on the typical recipes of the Piedmontese gastronomic tradition, following a strictly artisan method of production, characterised by its high quality and professionalism.